Lee Kuan Yew, the statesman who transformed Singapore from a small port city into a wealthy global hub, has died at the age of 91. The city-state's prime minister for 31 years, he was widely respected as the architect of Singapore's prosperity. But he was criticised for his iron grip on power. Under him freedom of speech was tightly restricted and political opponents were targeted by the courts. A state funeral will be held on 29 March, after a week of mourning. VERY saddened to hear the news.. though at 91 Mr Lee had a "good innings" as we British say. Mr Lee Kwan Yew had already retired as Prime Minister when I lived in Singapore 1994.. but he was still active in Parliament and classified as a special member "The Senior Minister". I believe very much still directing how the country was run. He was still active, making speeches etc, which I was lucky enough to hear at the time. Always a great orator (in 3 languages) and the bits in English I found inspirational. The Singapore we see today is the fruition of Lee Kuan Yew's dream and his relentless tenacity and leadership ensuring those dreams came true. Singapore and the Singapore people certainly earned my respect when I lived there, and the place is still close to my heart. 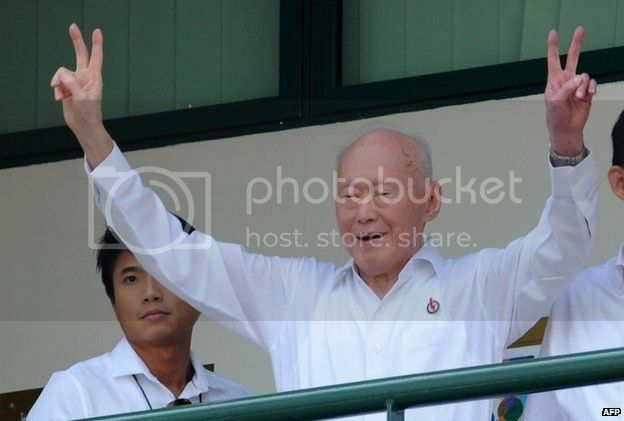 SINGAPORE - Singapore's founding father, Mr Lee Kuan Yew, has died, leaving behind the unlikely nation that he and his colleagues fostered and built over five decades as his lasting legacy. Mr Lee, who would have turned 92 this September, died at the Singapore General Hospital where he had been warded for severe pneumonia since Feb 5. 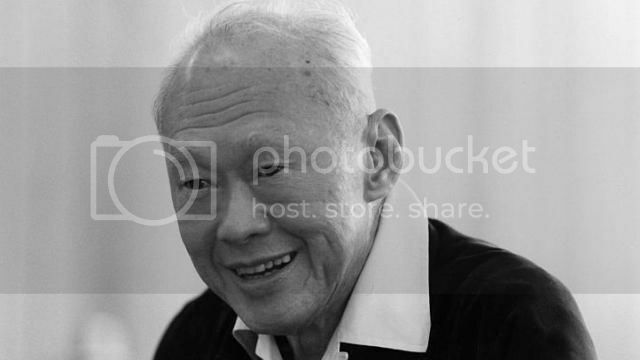 A statement from the Prime Minister's Office said: "The Prime Minister is deeply grieved to announce the passing of Mr Lee Kuan Yew, the founding Prime Minister of Singapore. Mr Lee passed away peacefully at the Singapore General Hospital today at 3.18 am. He was 91." A private family wake will be held on Monday, March 23, and Tuesday, March 24, at Sri Temasek. Mr Lee's body will lie in state at Parliament House from Wednesday, March 25, to Saturday, March 28, for the public to pay their last respects. They can do so from 10 am to 8 pm daily during that time. A state funeral service for Mr Lee will be held at 2pm on Sunday, March 29, at the National University of Singapore's University Cultural Centre.